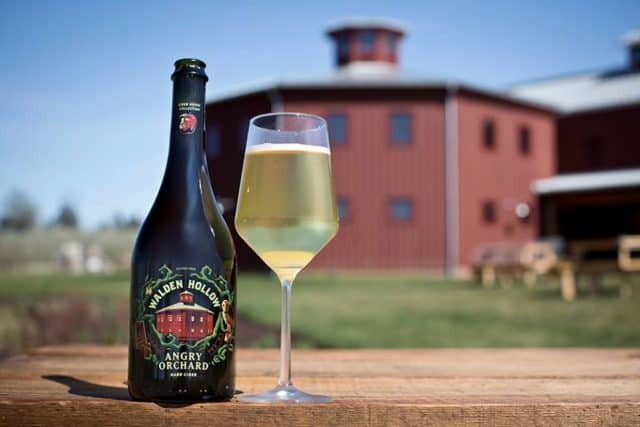 As apple season comes to an end, Angry Orchard is offering a terrific opportunity to get into an orchard and enjoy some outdoor music and tasty new ciders. The cidery is throwing its first annual Harvest Fest on Saturday, October 15, from 2–9 p.m. at their orchard in Walden, New York, with headlining talent Matisyahu. Tickets are limited and sure to sell out at this 21+ event. General Admission is $45 and gets you entry to the festival, a tour of the Innovation Cider House and access to exclusive cider keg tappings. VIP tickets are $75 and add limited access areas for concert viewing, complimentary cider-infused appetizers and a private Innovation Cider House tour hosted by Angry Orchard cider makers. Get your tickets online! The Angry Orchard Harvest Fest will take place at 2241 Albany Post Rd. in Walden, NY.